It is by now a well-known and undisputed fact that climate change in all its guises is, or will soon be, the biggest problem for life on planet Earth. There is no longer any credible debate that it is occurring, and even the debate whether or not it has been caused mostly by human activity now depends only on an individual’s acceptance of the head-in-the-sand propaganda led by the oil lobby. My position is that regardless of whether climate change is caused by humans or not, we should treat it as if it were and take the threat seriously. If it turns out that the 97% of scientists who have been studying the issue in depth for decades were actually wrong and we ended up with cleaner, cheaper energy, a less wasteful and more sustainable way of living, and cleaner air, water, and land, then that is a consequence we can happily live with. On the other hand, if it turns out that the scientists are correct, but governments do not take action soon enough, we may risk if not total human extinction, quite probably the large-scale extinction of the type of modern civilization, values, and rights we have come to take for granted (as well as a mass extinction of huge numbers of plant and animal species). For all its faults, our modern civilization is infinitely better and more livable than the type of apocalyptic scenarios we are used to seeing in films and TV, but can hardly imagine actually happening in our lifetimes. In the worst-case scenario, the effects of climate change will rip apart the fragile trappings of civil society and make survival and the defense of basic natural resources the daily priority of most of the remaining humanity. The collapse of individual human societies, either suddenly or over a long period of time, is nothing new. Just as a huge majority of the animal species that ever existed have gone extinct, a very large percentage of human societies that ever existed have gone extinct in different ways. Some have slowly transformed, migrated, or integrated into something completely different from what came before. The entire human species can be seen as one big melting pot in this way, genetically, culturally, linguistically, and anthropologically. In many well-known cases, there have been total or near collapse of entire societies. 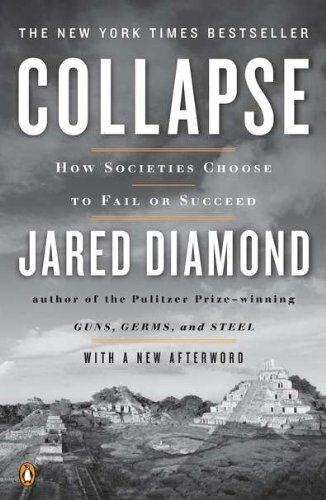 Jared Diamond, in his 2005 book Collapse: How Societies Choose to Fail or Succeed, examines several examples of such societies and analyzes the main factors that lead to societal collapse, and some examples of how other societies have avoided such a fate through various actions. The book is very interesting from a historical perspective alone, but the lessons we can draw from it still have very clear and present ramifications given that there are no longer individual isolated human societies as such, but just one single global human society whose fate will be shared be all–with the biggest burden upon the shoulders of the poorest and least culpable of us. Collapse is the follow-up book to Diamond’s celebrated Guns, Germs, and Steel, in which he attempted to show how European countries quite suddenly and unexpected came to dominate the world for the last five centuries (I summarized and discussed that book at length in this article). Like its predecessor, Collapse is so rich in details, anecdotes, and useful analysis that it is impossible for a brief review to fully capture everything, and I would obviously suggest reading and pondering upon it for yourselves. In any case, I will attempt to give as brief a synopsis as possible and some relevant observations from my own reading. Why do I write a review of a book that came out 10 years ago? I read the book four years ago and, like Guns, Germs, and Steel, its lessons and conclusions stuck with me as I continued my ongoing education and search for how to live a good life. As I watch the news and reflect upon the state of the world and the environment today, I am often reminded of one or another of the lessons and wisdom from this book, which remains more relevant than ever. 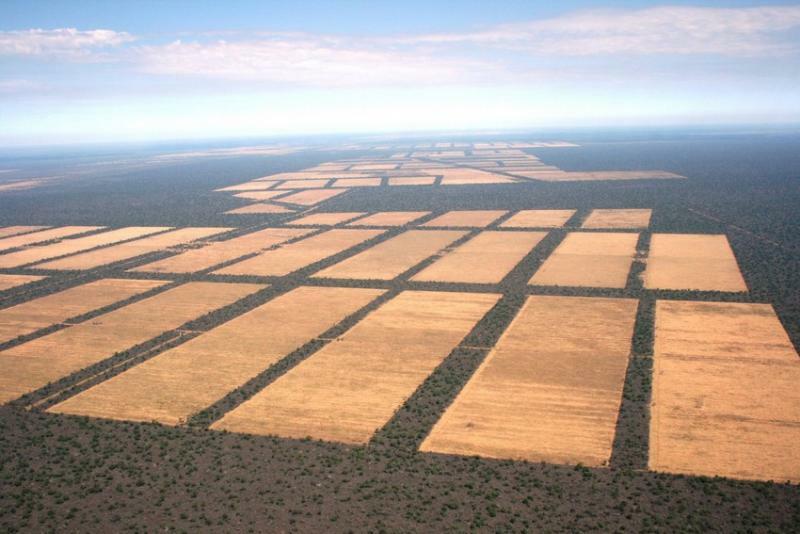 The single most important factor that causes other problems is overpopulation relative to the environmental and geographic carrying capacity (amount of sustainable human density allowed by geography and natural resources). The most representative environmental problem that leads to collapse is the destruction of forests, as Diamond says here: “Deforestation was a or the major factor in all the collapses of past societies described in this book.” Diamond also clarifies that environmental factors have not been the most important factor in all historic societal collapses; there are also military and economic factors to consider, such as in the cases of the Soviet Union and ancient Carthage to name two (and the hypothetical occurrence of nuclear war would fit into this category as well). Nevertheless, given the interconnectedness of the world today and the warming and deteriorating state of the environment, we will focus on the twelve factors that Diamond has listed and how they affect human survivability. The first part of the book discusses at length the modern American state of Montana and shows some of the problems faced by several individuals and the work they are doing to protect their environment. Here he discusses especially how toxic to the environment the mining industry has been and still is for entire ecosystems. Part two focuses on five historical examples of societal collapse and three historical success stories. The first is the Norse settlers of Greenland, who died out due to climate change, environmental damage, loss of trading partners (from Iceland), hostile neighbors (the Inuit, who have survived to modern times showing that adaptability is important), and unwillingness to adapt despite impending doom. On this last point, Diamond shows how the religious and political leaders continued to use their limited resources to import luxury status symbols for their own good rather than useful tools and metals that could be used to improve the colony; they also stubbornly refused to eat fish due to a social taboo even though they were living next to the water; furthermore, they continued to focus on raising cows despite the fact that the land could not support them. Diamond next discusses Easter Island in a controversial chapter in which he holds that that island’s tribal societies collapsed completely owing to environmental damage. Specifically, he shows that the island was gradually deforested in order to build the huge monoliths that rival chiefs and tribes used as prestige symbols. When the island was deforested, the topsoil eroded and the island, already in a precarious situation as the most isolated place on Earth, could no support itself with no hope of help or escape. The Anasazi people of southwestern North America, modern-day Arizona and New Mexico, collapsed due to environmental damage and climate change. The Mayans of modern-day Mexico and Guatemala collapsed due to environmental damage, climate change, and hostile neighbors. Then, he shows how some past societies avoided collapse due to recognizing their problems and changing course. The Pacific island of Tikopia is a small community where inhabitants assumed a bottom-up approach to limit and reverse deforestation and overfishing. On the island of New Guinea, highland peoples developed sophisticated agricultural techniques that fully used and conserved their natural resources, allowing them to thrive and survive undisturbed for thousands of years despite total isolation. In the 1600-1800s in Japan, the Tokogawa shogunate reversed centuries of deforestation due to constant warfare by dictating a top-down law restricting the felling of trees. It is one of the earliest and most successful examples of forest management, and ensured the survival and prosperity of societies in Japan to the present day (though he adds that the wood needed was outsourced from more distant countries, thus outsourcing as well the problem of deforestation, a problem which also has modern-day parallels). Part three looks at some modern societies and the problems they face. The first of these is Rwanda. Diamond points out some of the political and environmental factors that led up to the horrific 1994 genocidal civil war in that country. As is often the case, Diamond speaks from decades of his own observations and travels in the places around the world he discusses. He had been to Rwanda before the civil war and noticed that there was no available land remaining for cultivation, with terraces running up to the very tops of the hills. This is one of the points that illustrates his conclusion that the main factor behind the violence was ultimately overpopulation and overuse of its available resources. The last two chapters of part three look at problems facing a developing nation–China–and a first world nation–Australia. In both cases he lists some of the enormous environmental challenges faced by these countries as a way to show that the potential future outcomes can be positive or negative based on the actions or lack of actions by the leaders and citizens. There is so much rich detail of information and historical example in Collapse that it is hard to capture in a short review. This book, now over 10 years old, is still as relevant as when it was published because its lessons are universal and timeless. They can be summarized as something like the following: the only path to a successful society is an environmentally sustainable one; and, leaders need to take action to solve problems, and citizens need to be aware of the problems and push leaders to act. There is still time to make a difference, especially with the United Nations Climate Conference happening in Paris at the end of this year, but failure to adapt will be as deadly for us as it was for Easter Islanders.